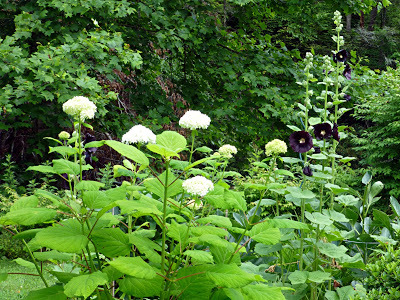 The Black & White Garden (formerly just the White Garden) at the Inn on Mill Creek B&B is a small garden space — work in progress — where we’re growing plants with white or black blooms and/or foliage. 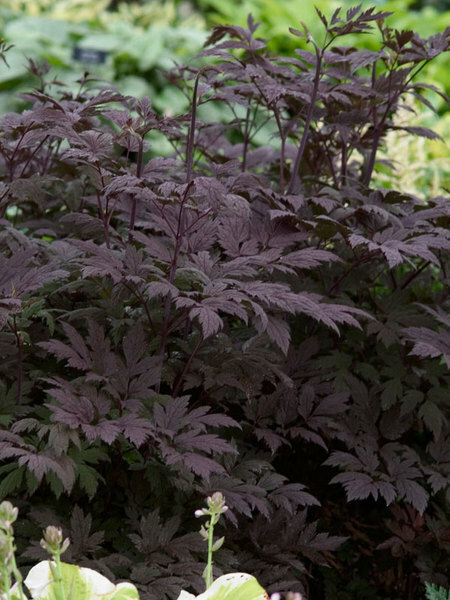 Let’s take a look and see what’s blooming in June this year. We also have white astilbe surrounded by hosta near the bench in the garden, with coral bells nearby that have very dark, almost black leaves, as well as baby black bugbane. 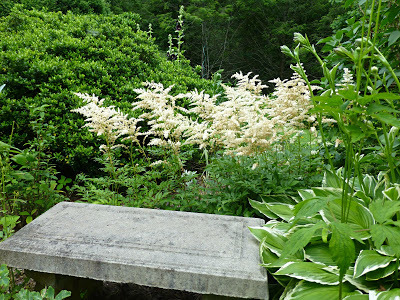 Neither the coral bells nor the bugbane are pictured below because they’re hiding behind the giant astilbe. Coming soon — all in this order — will be the oriental lilies (black) and daylilies (white), butterfly bush (white) and dahlias (black and white), which are all summer bloomers. If you have a suggestion for the Black & White Garden at the Inn on Mill Creek B&B, let us know! In sad news, a groundhog ate most of the shasta daisies this year! They seem to be OK, though, and we’ll look forward to seeing them next June (the daisies, not the groundhog hopefully). This entry was posted in Flowers at the Inn and tagged flora and fauna, garden spaces, improvements, Spring, Summer by Inn on Mill Creek. Bookmark the permalink.